The SPM Resorts, Inc. revenue management team recently worked with our Expedia partners to boost the star ratings of two Florida resorts, Hollywood Beach Tower and La Costa Beach Club. Both resorts recently completed major renovations. Expedia’s nine point rating is determined by resort amenities, aesthetics of common areas, room decor, on-property services, quality of hard and soft goods, renovations, customer feedback and in-room amenities. Resorts can receive up to five total stars. Prior to the site inspection, Hollywood Beach Tower was rated 2.5 stars and La Costa Beach Club was rated 2 stars. With resorts that are clean and affordable, 2 and 2.5 star ratings are a budget classification. Both resorts are now rated 3.5 stars. The 3.5 classification is reserved for resorts with a greater emphasis on comfort and service. The travel website attracts 90 million unique visitors each month. 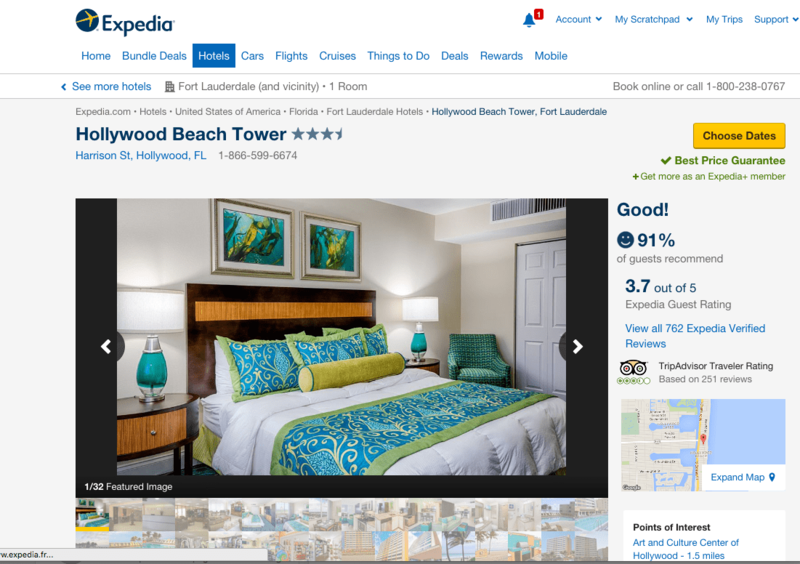 Each half-star increase can make a major impact on a resort’s ability to promote on Expedia.com, giving the resort more visibility in search results. So, when a vacationer is searching properties in the destination, the resorts with a higher star rating will have better page placement in the list of available resorts. The higher a resort is ranked on a page, the more bookings they will receive. In addition, this allows the revenue management team to raise the average daily rates to match those with other higher-end properties with a 3.5 star rating, increasing revenue for the resort and bringing in a new demographic to the properties.